We love to moan about the awfulness of our transport system. The roads are full, the trains are late, and the planes don’t take off because of a little bit of fog. But is it really that bad? The Treasury commissioned Sir Rod Eddington, the former head of British Airways to look into Britain’s long term transport needs and when he reported in December his findings were surprisingly positive. He found that Britain had a ‘good transport network’ that ensures that the main business centres are well-connected. He therefore warned against going for ‘big iconic projects’ which generally turned out to be far more expensive than envisaged including the idea of a north south high speed rail link, a project that had been suggested, albeit half-heartedly, in Labour’s last election manifesto. Instead, he said we should ‘make the most of the existing transport infrastructure by tackling congestion and capacity issues’ – in other words deal with bottlenecks through minor improvements but there is no ‘silver bullet’ that would be a panacea Britain’s transport problems. Frankly, this smacks of a report that serves the interests of the British Treasury all too well. Yes, Eddington has a point that things aren’t quite as bad as most people like to think. Many journeys on motorways or the railways can be effected relatively efficiently and pleasantly. For a small country, the UK is relatively well served by airports and by ports, though Eddington particularly stressed that more investment was needed in improving access to them. And while a high speed line should probably have been built 20 years ago, with electrification and other improvements to existing train services, it now looks far too expensive for the benefits it would bring. However, there is no doubt that traditionally, we have underspent on our transport network and that there is a lot of catching up to do, especially if we are compared with the progress made in some European countries where high speed rail lines, motorways and tram systems seem to pop up almost daily. Successive governments have never recognised the importance of transport for the economy and the regenerative effect of providing new infrastructure such as better road connections or faster rail links. Spending on transport has always been begrudging and insufficient, which is why we do not have a high speed rail link and many of our road connections remain inadequate. Possibly the prime example is the corridor across the Pennines. The M62 is congested for most of the day as is the Transpennine rail line. Tom Riordan, of Yorkshire Forward, reckons the M62 and the adjoining rail line are a major constraint on economic growth in the region: ‘When they let the Transpennine franchise, they expected no growth and yet we have had 20 per cent in two years, and that is set to continue.’ He argues that improvement schemes to the rail line, such as improving the signalling system and unblocking bottlenecks is a priority. Professor David Begg, the former chairman of the Commission for Integrated Transport who has carried out research on the importance of inter urban corridors points to the importance of reducing congestion to create what become large agglomerations: ‘In Scotland, where they have lots of money available for transport spending, they are talking about a bullet train linking Glasgow and Edinburgh. That would increase the size of the labour market, both for skilled and unskilled people.’ By contrast, he points out that the connections between Leeds and Manchester are poor, with an overcrowded motorway and a relatively slow rail line. Congestion then limits the size of the potential labour market as it is time, not distance, which sets the limits of where people are prepared to work. Nobody would enjoy working in one of those cities while living in the other, but this limits the pool of labour and skills available to employers. If we are to take Eddington at his word, then, we need a whole series of relatively small scale improvements which, taken together, will bring about significant improvements. On the railways, for example, straightening out sections of track or building flyovers to replace flat junctions can make a significant different to timings. The huge cost of the £9bn West Coast Modernisation, which took a decade, means that such large scale schemes are no longer the fashion and the incremental approach is probably the right one. The East Coast Main Line could definitely benefit from such an approach, as could several regional routes in this region. The Eddington report should not be used as a cover by the Treasury to restrict transport spending. He stresses throughout that transport infrastructure is vital to economic success but Gordon Brown may no be prepared to listen to that part of the message. Yet, it is obvious that if the present economic growth continues, the need for extra transport facilities will be all too apparent by the end of the current decade. However, a new factor has entered the equation which the politicians are still grappling with: the growing concern about climate change. Every new transport scheme will now be looked at in terms of its carbon footprint. And here it gets really complicated. Improving transport facilities in the way suggested by David Begg would undoubtedly lead to more journeys as people are able to travel further to reach their workplace. As the pressure to reduce emissions grows and the concerns about climate change become more widespread, there will be growing demands for governments to try to reduce the demand for travel through higher taxation, particularly of motoring and aviation the two most environmentally damaging modes. The most obvious way is to make these two more expensive compared with railways and buses. Yet, for most of the past 30 years, the trend has been in the other direction. Motoring has become relatively cheaper compared with buses and trains, as has aviation thanks to the low cost revolution. This is where Eddington appears too short sighted. If the government ‘makes each mode of transport pay for all its costs’ as he suggests, which includes damage to the environment, and the government introduces road pricing, which means commuting drivers will pay premium rates for road space, demand for rail, buses and coaches will soar. Tram systems, like those which have been shelved in Leeds, Liverpool and Manchester, may suddenly appear to be viable and buses, that neglected mode of transport, may enjoy a renaissance, particularly if local authorities are given more control over their local networks, as promised by the Transport Secretary Douglas Alexander. Yet, so far, there is little sign that the government has taken this on board. In Gordon Brown’s recent pre budget statement, a few dollops of extra taxation landed in the laps of motorists and air passengers, but not enough to make a significant difference to their transport habits. If, as some suspect, this is just the first stage in a more environmentally-friendly transport policy, then plans to spend these extra taxes on transport infrastructure projects around the country better be in place or else the voters will rebel. 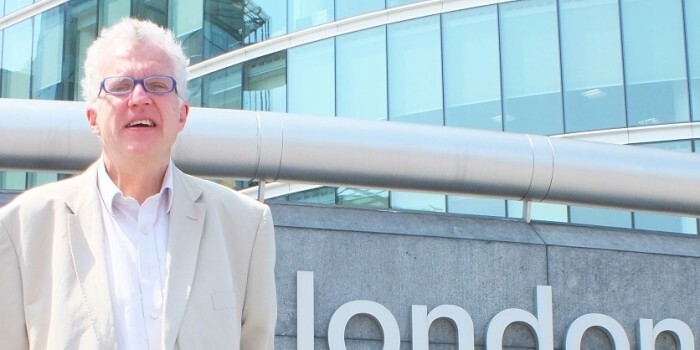 Christian Wolmar is a writer and broadcaster specialising in transport. His latest book is On the wrong line, how ideology and incompetence wrecked Britain’s railways, Aurum £10 99 and his previous book, The Subterranean Railway, Atlantic £9 99, is a history of the London Underground.